Unsurprisingly, Motorola has a Moto G (2014) with 4G LTE connectivity coming our way. The yet to be revealed successor of Moto G 4G appeared on Motorola’s official website in Brazil. The LTE-capable second generation Moto G will feature a slightly larger 2,390mAh battery than the 3G-only model. The latter makes do with a non-removable 2,070mAh unit. 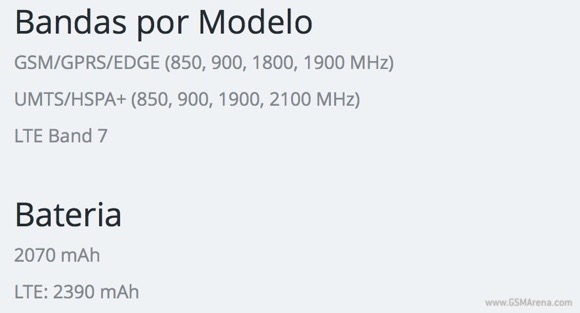 The Brazilian product page of the new Moto G also reveals that the LTE model will only be available with 16GB of built-in, expandable memory. At 155 grams, the upcoming device will also be a tad heavier than its regular sibling (149 grams). Battery and weight aside, the LTE Moto G (2014) has familiar specs. They include Qualcomm Snapdragon 400 SoC, 1GB of RAM, 5” 720p display, 8MP camera, and stereo speakers. There is no word on the launch date of the new Moto G version just yet. We doubt it will be a long wait.